At my job my coworkers and I started “After Work Learn Club,” where our designers, engineers, VFX artists and video Editors as well as anyone who’s interested can hang out, get some drinks, and share their knowledge. Once a week one of our pros gives a quick lesson in their tools. I’ve taught Blender 3D modeling on several occasions, but I always enjoy picking up new skills. For a long time I’ve put off learning Adobe Illustrator / vector graphics in general. I’ve always felt like there was some vector magic-sauce that I was missing. I was expecting it to be more difficult that it really was. One of our excellent designers, Steve, did a session in AWLC on Illustrator and suddenly everything clicked. Whenever I get a new skill, I get super sucked in and excited, and this was no exception: I was bitten by the Illustrator bug. That weekend I conceived of my first illustrator project, and sunk plenty of hours into it. As you can see, it looks more like a 3D Render than a typical vector illustration – but that’s because my coworker teacher was also a pro at making convincing 3D perspective graphics in Illustrator. 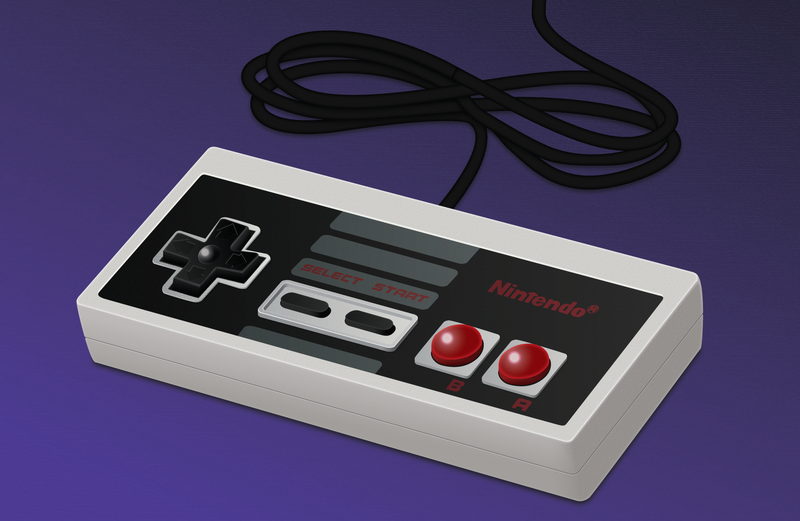 I took that knowledge home with me, combined with my surface detail knowledge from my 3D modeling background and knocked out this controller. Obvi I still prefer the freedom of working in true 3D, so I can’t say I’d use Illustrator for this purpose much in the future. But, with Illustrator in the bag I can finally feel confident making vector graphics. In fact, a 3D render I’m current working on, and about to post, I used Illustrator in my workflow to design a logo that would be used as a texture on my models. 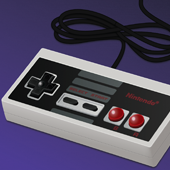 Anyway, the above NES Controller Image was made in Adobe Illustrator. It has some imperfections, but I’m proud. But mostly just excited to feel comfortable in Illustrator. The first step to having Illustrator under my belt.